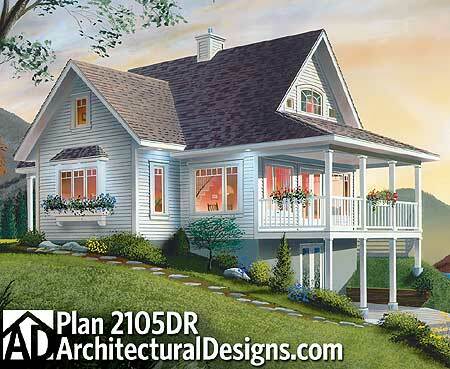 I hope you’ll love seeing these cottage house plans from Architectural Designs as much as I do. I got lost looking at all their styles of house plans. 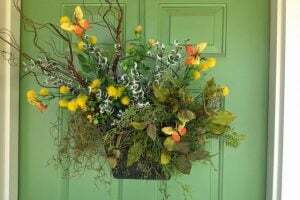 Cottages are a favorite of mine and are popular with readers too. 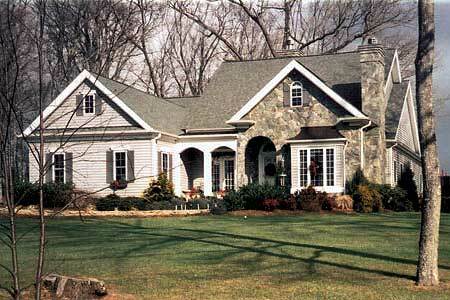 If I were to build a house, one of the styles I would look at first are cottage house plans. 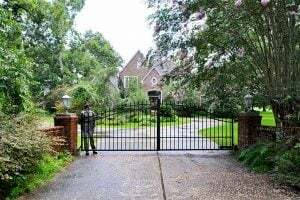 Architectural Design has plans for any house style you prefer though like a Cape Cod, Beach house, Farmhouse, Southwest style, Georgian and even down to a house plan for a narrow lot. Special features like an elevator, butler walk-in pantry, in-law suite and more are easy to find by checking a box from their list of features available and searching on their site. Here are the most charming cottage house plans I found to show you that I think you’ll enjoy. The Perfect Cottage Retreat. 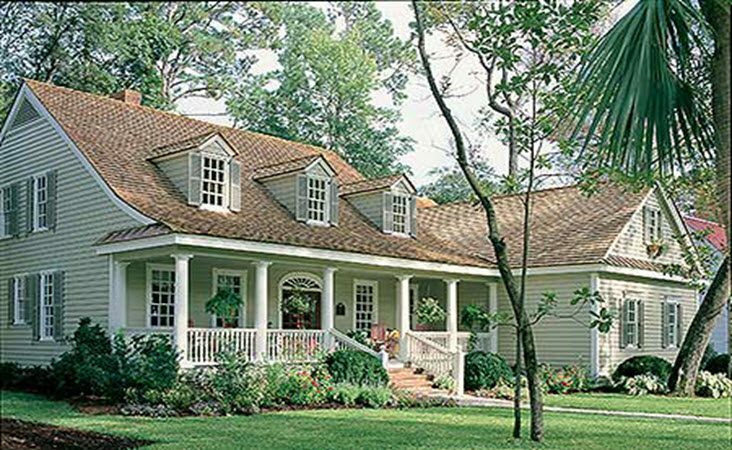 Architectural Digest house plans labels this style as Country, Vacation, Mountain, and Cottage. Three bedrooms, three-and-a-half bathrooms. I always love a covered wraparound porch. 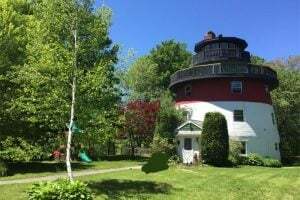 It has clapboard siding and shakes, and a first-floor master bedroom. 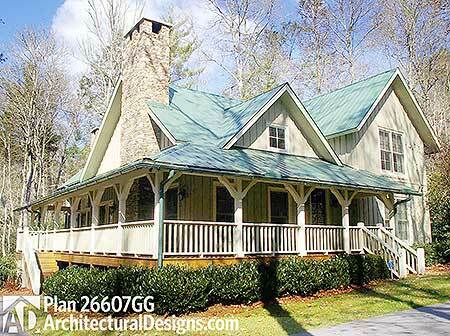 The New Look Mountain Retreat cottage house plan has a storybook in the woods design. 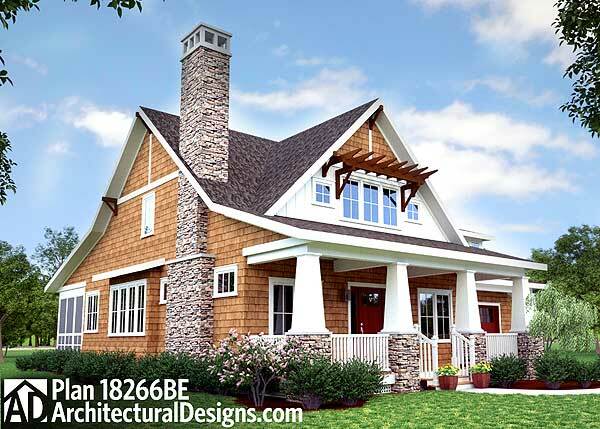 The roof is “a stick framed design.” This house plan style is a cottage, craftsman or mountain style. Three bedrooms and two-and-a-half baths. 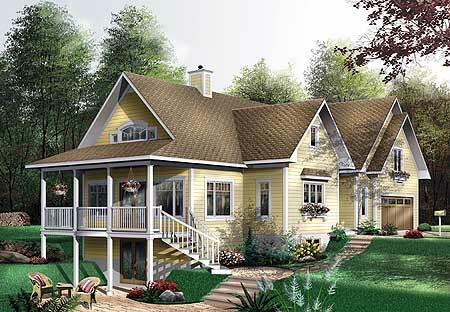 Cottage House plan with private guest suite is a Country, Vacation or Cottage style. 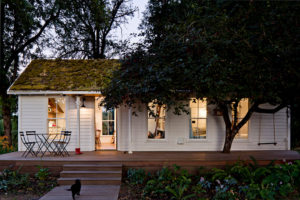 I like this charming cottage design that highlights each part of the home in a special way. The private suite is over the garage. Three bedrooms and three bathrooms. 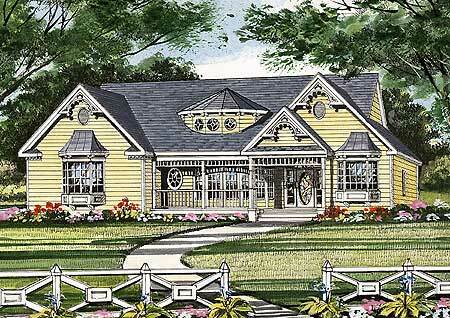 Cottage house plan for primary or vacation cottage is a shingle style with three bedrooms and two bathrooms. 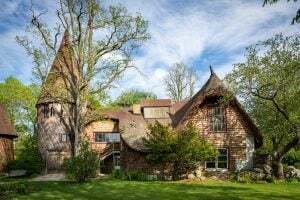 It is “inspired by 19th-century summer cottages on the East Coast.” It has the full veranda in the front and a screened in porch in the back. 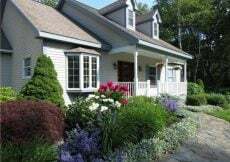 Country Vacation Cottage has two or three bedrooms and two full baths. It’s designed for sloping lots. Has what I just love, a walk-out basement and the upper covered porch area for perfect entertaining. 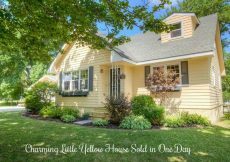 This Victorian Style Cottage in a Small Package has authentic Victorian details with high ceilings inside and yet is one story. This is my pick out of the bunch to call home. Here are two photos of homes built from this house plan. 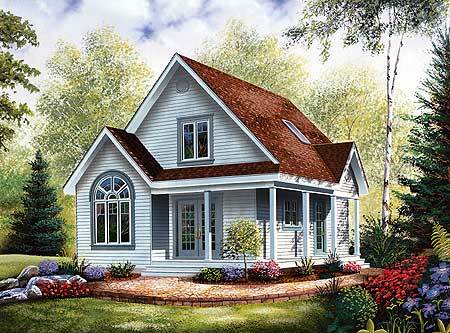 This cottage house plan is the Storybook Bungalow with Screened Porch. Two or three bedrooms and three bathrooms. It has the huge front porch and four columns with stacked stone bases. The screened in porch is conveniently located off the kitchen. 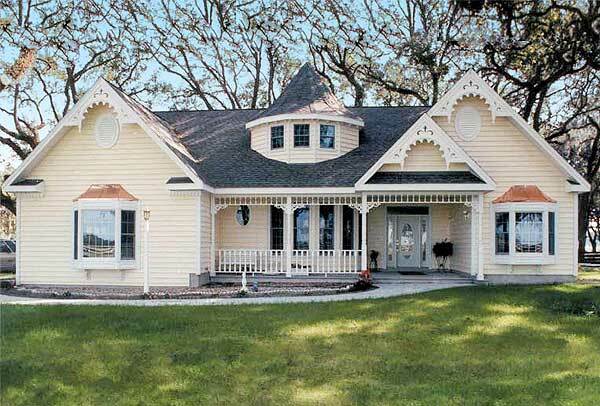 If this Charming Gothic Revival Cottage was your home you’d be the envy of everyone on your block. 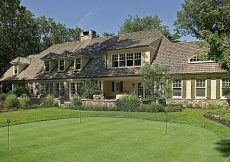 There is a lot of curb appeal in this European cottage design. 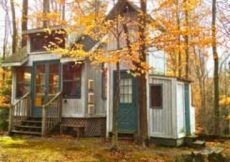 The cottage has two bedrooms, two bathrooms, and a vaulted great room and master bedroom. I want to hug it. 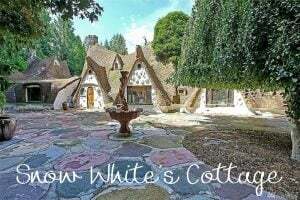 Named the Picturesque Cottage and has classic traditional lines. 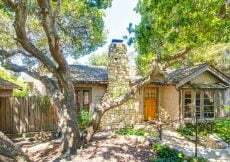 The cottage has a wood and stone exterior with the charming arched porch and bay window. 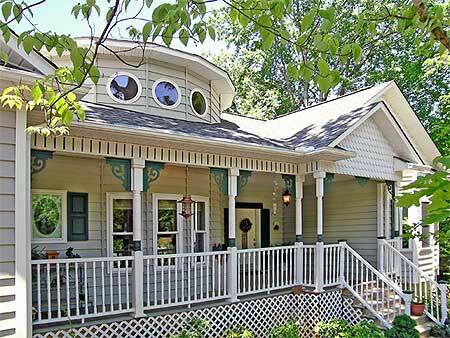 Three or four bedrooms, three bathrooms, first-floor master bedroom, sunroom and rear porch. 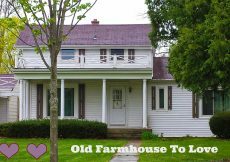 A three/four bedroom, two/three bath Country Farmhouse Cottage with large covered front porch and three dormers. I absolutely had to bookmark this one too. 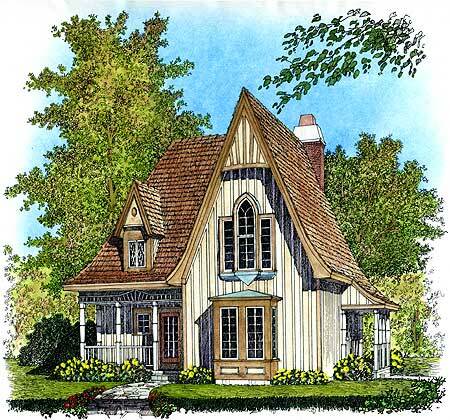 It’s high on my list of favorite charming cottage house plans. 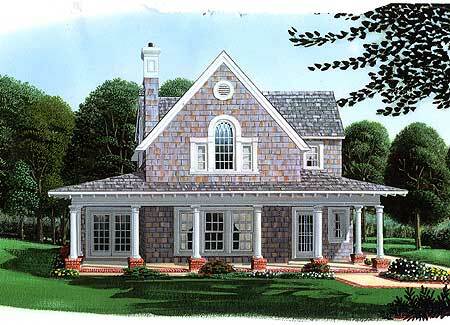 I showed you some of the most charming cottage house plans on Architectural Designs. It is an excellent place to discover the perfect style of house that is just right for you and your family. As for me, I think I want them all. Have a great day, happy house hunting and thank you for making Housekaboodle part of your day. 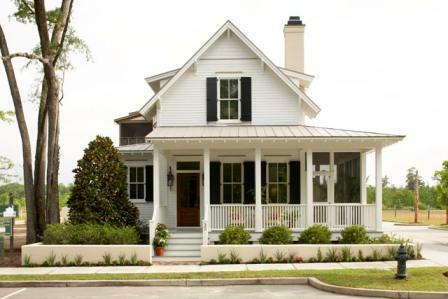 A popular house plan to see is Sugarberry Cottage by Southern Living. I find aspects of #1 and #2 appealing. 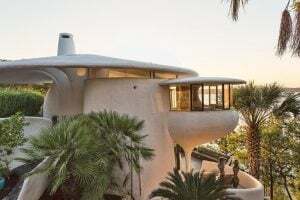 I would take pieces from each to make it my dream home. There are two changes to the floor plan that I might have to make for my personal needs. In the master bedroom there is only one master closet and I would need two. One might be able to be added in the back right corner losing that window next to the master bath. My other change would be to enclose the back porch off of the laundry room to make that one large room when I could have dog crates, a feeding dog station and possibly a sink. I know this would mean adding a tiny covered area for rainy days that would be smaller. 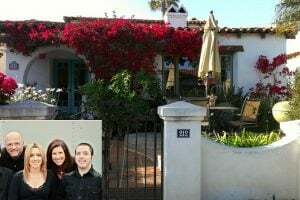 I think these changes could make it a dream home for me and my husband. I do dream someday of building a dream home with these types of personalized details for us and our fur babies as a forever home. I think it’s great to have so many resources when designing a home! It’s become a lot easier to keep track of designs with blogs and Pinterest now, as you’ve learned. However, like you said, it can still be fun to find some design magazines and keep some of their ideas as well. Thanks for sharing your sources of inspiration! My wife and I are thinking about building our own house. We’re in the information gathering stage right now. We’re trying to look at a lot of different arrangements and plans for homes. So, thanks for the list of different home plans. I like the Mountain Retreat Cottage! Thanks Julie, you always have interesting ideas. I love the thought of a stripped down version of the Victorian cottage with the three windows that keeps some character to the house. numbers 2 & 4 are my picks to totally live in!! Now I must go play the power ball so i can get them. Darn powerball does not cooperate does it. #7 would be my pick since a single level home is priority for us. I would omit most of the gingerbreading, though. Style-wise, I love both 10 & 11. More and more all I want is a one-level ranch house too. Number 11 has me enchanted now too. I love them all, but #1, #4 and #11 are my favorites. Oh my gosh Sue, I love them all. 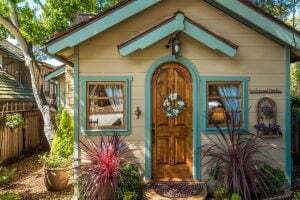 I think my favorite it the Mountain Retreat Cottage but it was so hard to choose. What a brilliant way to design your home. If I were planning on rebuilding, I would totally use these plans. In love with this post! Our lot is more wide than it is deep so your favorite Mountain Retreat would fit on our lot perfectly. A girl can dream. She surely can! what a beauty!